Our 8" 10" 12" Diameter accordion paper lantern which makes a great decoration for any party, wedding, bridal shower, corporate function, or any party which you need to add some fun and festive decorations. lanterns come flat and easily open them to make a nice accordion shaped round lantern. Once they are opened, simply hang them with any string, ribbon, or fishing line. If you wish to light this item, you can purchase one of our illuminating battery operated lantern sticks separately. Hanging Accordion Balls will give your party a unique but elegant look. Accordion Lanterns have a beautiful accordion pattern to them and easily hung by simply unfolding them. 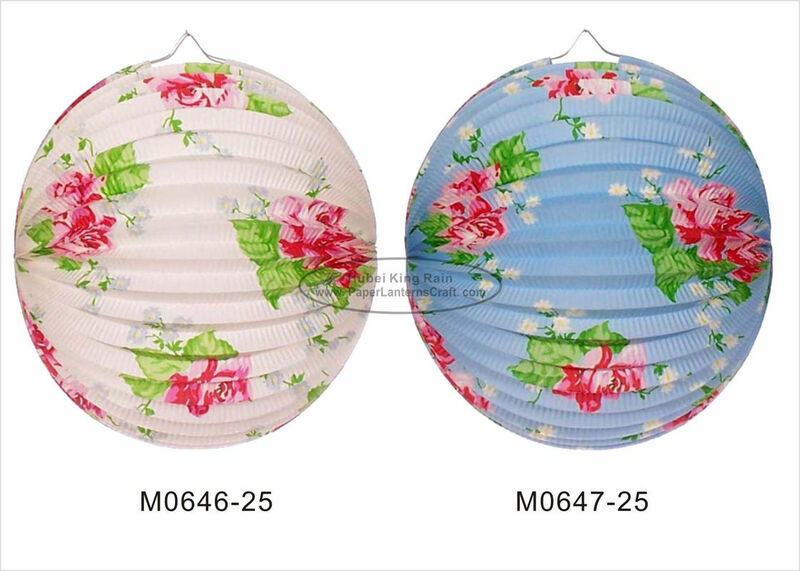 These accordion style paper lanterns just pop open and ready to hang. Very easy to store and re-use time and time again. These bright colorful unique accordion fluted paper decorations are also lanterns. They are made of a heavy paper, are easy to setup and a fun and festive way to decorate for any type of celebration. These charming lanterns give a modern twist to any party and a cute way to decorate your home and baby's nursery! This is our accordion paper lantern which makes a great decoration for any party, wedding, bridal shower, corporate function, or any party which you need to add some fun and festive decorations. lanterns come flat and easily open them to make a nice accordion shaped round lantern. Once they are opened, simply hang them with any string, ribbon, or fishing line. Dreaming of a wedding complete with color and style? Whether you're hosting your event indoors or outdoors, make sure these beautiful round paper lanterns are part of your décor! These lanterns are made of evenly spaced wire ribbing covered in sheer, colored paper. Each lantern comes in a variety of colors and sizes – choose one of these vibrant hues or mix and match multiple colors to coordinate with your color palette. They’re such a cute and easy way to decorate any room but especially a nursery or a child’s room. And of course, they’d be great for a special occasion.